As you’ve probably guessed from the number of reviews I’ve written, I enjoy trying new products. Over the past couple of months, my family has tried quite a few new items. These include some items I’ve reviewed on my blog, some products I’ve purchased and some that were Christmas gifts. My daughters are fantastic product testers. They love anything new and can’t wait to check out any review products I receive. Plus, they’ve been enjoying their Christmas haul from Santa. Here’s a list of 10 of the many notable products I’ve tried in the past few weeks. My 6-year-old daughter is in her first year as a Daisy Girl Scout. Their first fundraiser was selling magazines, candy and nuts. We bought some of the nuts, and their Honey BBQ Snack Mix was positively addicting. It’s decidedly not on my low-carb eating plan, and it’s not like me to indulge like this. I couldn’t stop eating them, though. I finally cut myself off. Suffice it to say that they’re worth buying if a Girl Scout hits you up to buy nuts next fall. I had some worn off areas on the wood laminate flooring in my entrance foyer and wanted to try my hand at patching them. First, I tried the Roberts Floor Repair Kit (available at Home Depot). It contained hardly any instructions, no applicator, no mixing stick or container for mixing, and no lacquer to put on top of the patch. Even though I had to wing it and provide my own lacquer, it looked fairly decent after the fact. I used one of my daughters’ water color brushes, which broke in half as I was finishing up. Unfortunately, I decided to try something different when I didn’t have another trip to Home Depot and bought another option – Cal-Flor FL49101CF Floor-Fix Mix-2-Match Repair Kit. This one had pretty good instructions and came with its own lacquer bottle, mixing stick/applicator and everything necessary to patch. Unfortunately, it was impossible to get the right color to match the rest of the floor. The instructions say that the color will look a lot different when it dries, and it does. I followed the instructions for mixing up the right color for my floor, but it looked terrible when it dried. 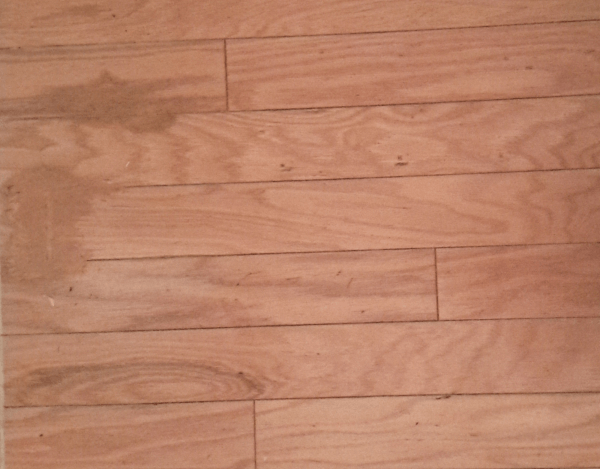 Even if the color had miraculously somehow matched, it still wouldn’t have looked like my floor. Both kits, which cost about $10 each, come with so little material that you can only patch a very small area, maybe the equivalent of a 5″ square at most. If you have a large spot, I don’t think either one of these kits will do the job well, and you may be (like me) out of luck. If you have more than one smaller area, you’ll need two kits. My 6-year-old has been asking for a Snackeez for months. They cost about $10 from Amazon or various other retail stores, and she was thrilled when she opened her Snackeez gift from Santa. Snackeez is a plastic two-in-one snack and drink combo cup available in a variety of colors. So far, the product seems to work as advertised. However, we haven’t had the need to transport a snack and drink somewhere, so Mini Me lost interest right away in favor of her other cool gifts. My family tested and reviewed Three Bridges refrigerated pasta and sauces a few weeks ago. 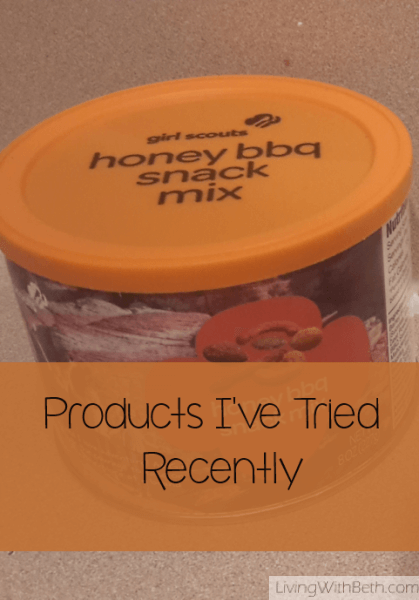 We loved these products, which you can find at Target and various grocery stores nationwide. Lee Kum Kee sent me some of their products to try from their large assortment of Asian condiments and sauces. I prepared several tasty dishes using the Lee Kum Kee items, which you can find nationwide at most major grocers. 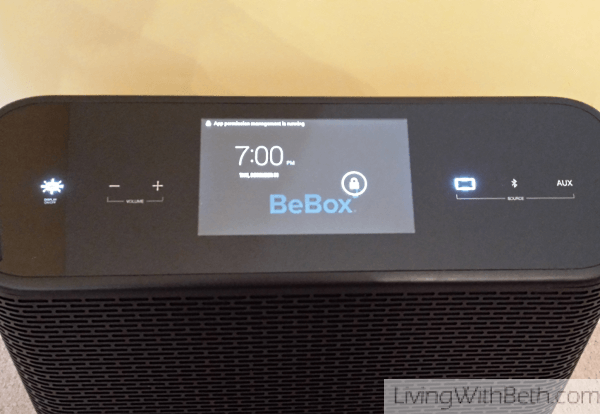 I loved trying out the new BeBox from Mohu. It’s a new take on the old boom box idea, except that it plays digital music such as MP3s plus streaming music services like Spotify, Amazon Prime Music, Google Play Music and Pandora. It does all of this through its integrated, fully-functional Android tablet, complete with a 7″ color touchscreen. Its built-in battery lasts more than 8 hours, so you can carry the device to parties, school events or where ever you’d like without having to worry about where you can plug it in. 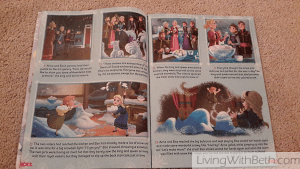 I saw a great deal on Frozen magazine in a weak moment and pounced on it for my younger daughter, the same one who absolutely had to have the Snackeez. 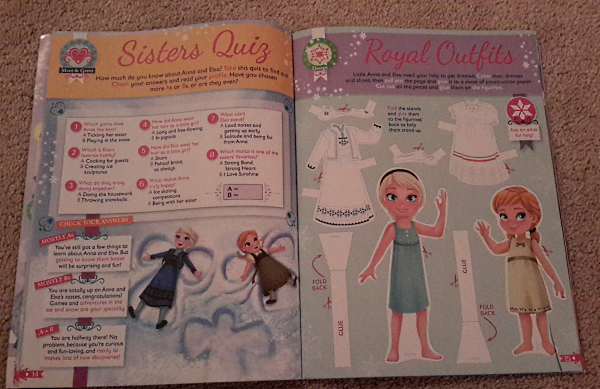 She adores the Frozen magazine, along with the Sparkles magazine my mom bought her. She’d read the Sparkles magazine before, so we knew she’d like it, and the two magazines are rather similar in style. 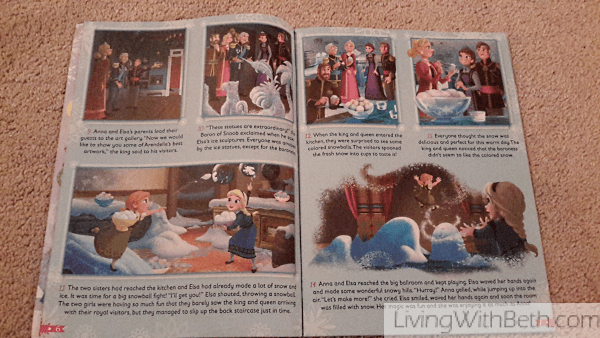 They have stickers, stories in comic book style with familiar characters, cool crafts and more. All of the Disney magazines I’ve bought have been well worth the money. Kids will keep going back to them to read the stories over and over, over the course of weeks or months. I received sample bottles of Salad Power and was stunned that my veggie-rejecting 11-year-old daughter couldn’t get enough of them. Yes, she knew she was drinking vegetables, and still drank most of my samples after the rest of the family had a chance to try them. 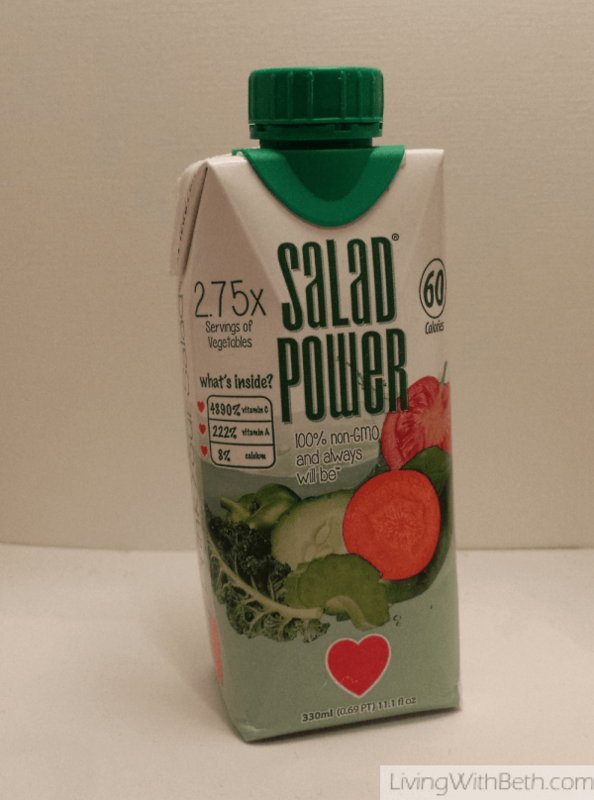 I’ll add a link to my Salad Power review once it’s complete. My daughters (ages 6 and 11) received the ZOOB Car Designer kit and ZOOB Bot Kit for Christmas and were enthralled by them. My older daughter received both kits and built one giant robot car that had her giddy with excitement. The younger child received the car kit only, and has spent many hours building various configurations of things that may or may not resemble cars. These were absolutely spectacular gifts that kept little hands busy for vary long stretches of time. Based on the lukewarm reviews I saw of Orbeez, I was not inclined to let Santa buy this for my younger daughter, no matter how much she begged for one. Then, she told Santa in person that she wanted one, and I caved. Orbeez must have been selling like hot cakes because Amazon was out of them and Walmart was sold out online. My mom found one available for Walmart ship-to-store where she lives and bought it for her. My parents were visiting us from Pennsylvania for Christmas, and my mom dutifully figured out how the whole contraption worked. It seemed like a giant pain to set up. Plus, the little Orbeez balls bounce like crazy. Every time some of them escaped, they bounced all over the kitchen floor and were very challenging to corral back to where they belonged. That said, my daughter and my two nieces (ages 6 and 8) loved playing with this thing. They probably got most of the Orbeez’s money’s worth in one afternoon of excitement among the three of them. What products have you tried for the first time recently? What did you think of them? Would you buy them again? What did your kids get for Christmas that they really liked or didn’t like?